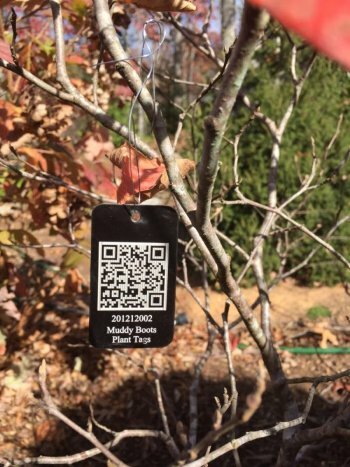 Bullington Gardens, a 12-acre horticultural education center and public garden in Henderson County, NC, has recently selected Muddy Boots Plant Tags. “We are excited to implement Muddy Boots Plant Tags. The Record-Keeping Application will allow us to better organize information about our remarkable plant collection and the plant tags will make that information accessible to our many visitors,” said John Murphy, Director of Bullington Gardens. 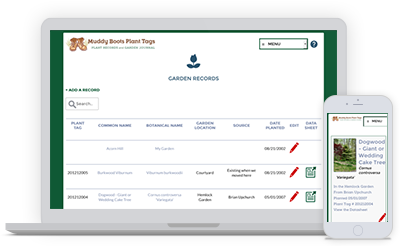 The Muddy Boots Garden Record-Keeping Application is free for gardeners with up to 25 plants and 50 photos. 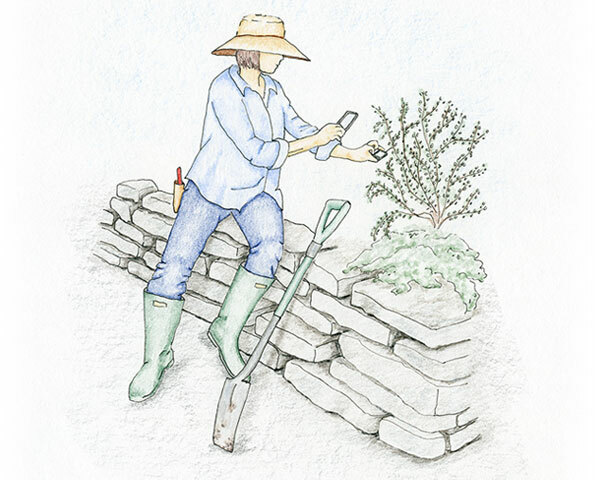 Gardeners with more plants and photos may purchase a subscription for $4.95 per month, or $49.95 per year allowing up to 500 plant records and 5,000 photos. There are higher level plans for larger gardens described at the website. All levels include unlimited plant and garden journal notes and are “Ad Free” - no ads whatsoever appear in the Garden Record-Keeping Application. For more information, visit www.muddybootsplantags.com.